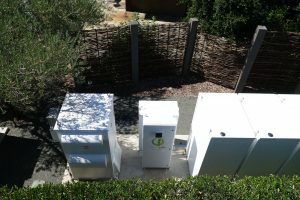 When the islanded microgrid at Stone Edge Farm near Sonoma, Calif., kept operating for 10 days in spite of the fires that caused outages nearby, the operators seized the opportunity to learn as much as possible from the surprises they encountered. California National Guard photo, Oct. 12, 2017. 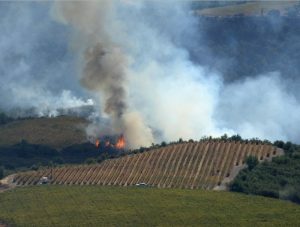 The first surprise, of course, were the fires that struck suddenly, stoked by high winds and dry conditions. While the fires didn’t burn the farm’s property, they came within about five miles. His son and an intern working at Stone Edge Farm put the microgrid in island mode to ensure the farm’s irrigation system continued operating in case the power at the farm went out. The microgrid powers pumps that run water from wells, explained Wooster. The microgrid, which includes a mix of solar, eight different types of batteries, 10 different kinds of inverters, and a natural gas microturbine, operated even though the power went out and officials called for evacuations. In fact, after being evacuated, Wooster and his associates operated the islanded microgrid remotely—for the first time. Operating in island mode put to the test a “distributed optimizer” called Heila, created by the team and others specifically for the microgrid. “When I say we operated the microgrid remotely, what we basically did was push an ‘on’ or ‘off’ button and the system is designed to operate itself autonomously, switching between different resources,” said Wooster. It does this thanks in part to the Heila controller, provided by a startup company, Heila Technologies, that the microgrid team helped create. 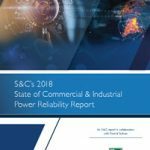 Wooster had helped form the startup by approaching major manufacturers such as Schneider Electric and asking them to help produce a local controller that could operate if individual components of the microgrid failed. The microgrid itself is distributed across the 16-acre farm, with 16 buildings and seven utility service meters. “When we go into island mode, we disconnect all seven service meters from the grid,” Wooster explained. 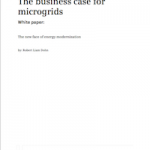 To manage this, the microgrid has numerous levels of control, including a central controller and, at the local level, Heila. “Our system will still operate at the local level with Heila if we lose other levels of control,” he said. A “distributed optimizer for microgrids,” Heila aims to simplify the design and operation of microgrids, according to the Heila website. With Heila, every asset in a microgrid gets its own Heila IQ optimizer, which forms a distributed network that can be used by central controllers. “Our system will still operate with Heila if we lose the other levels. The assets are all automonous. They will maintain their portion of the microgrid respective to what the microgrid needs,” Wooster explained. The lessons learned from the fire fit nicely with the mission of the microgrid team — made up of industry members, interns, the farm’s owners and staff who often partner with the Electric Power Research Institute and other organizations. That mission is to move microgrids forward, Wooster said. One lesson from the experience was that the microgrid, intended to be a community resource after an earthquake, should also provide shelter during fires. However, to do that, the farm needs face masks and high efficiency particulate air (HEPA) filters to ensure people are breathing air that’s relatively free of pollution, Wooster said. The farm wasn’t prepared for that. The team also learned that in case of major fires, it’s a good idea to provide protections to prevent fires from the batteries — as the team did. For example, a Tesla Powerwall is located 25 feet from anything that would burn. Additional batteries in the microgrid include lithium ion phosphate batteries from SimpliPhi Power that are “totally safe,” said Wooster. “If we did have a battery explode, we could send energy everywhere else. That point of failure would not take us off line,” Wooster said. To continue the learning process and expand the role of microgrids, the Stone Edge team applied for and received a $1.8 million grant from the California Energy Commission for the Sonoma Valley School District to install solar-plus-storage at a bus barn that also is a food warehouse. The idea is to create an emergency refuge at the site. And the team is also applying for California Energy Commission grants to build two microgrids on school campuses so they can serve as emergency shelters. This work makes Stone Edge Farm owner Mac McQuown happy, said Wooster. “We move microgrids forward and do it around the school district, and the long-term social and political good,” he said. Do you have other examples of how an islanded microgrid kept the power flowing during a natural disaster? Please post your story on the Microgrid Knowledge LinkedIn Group.